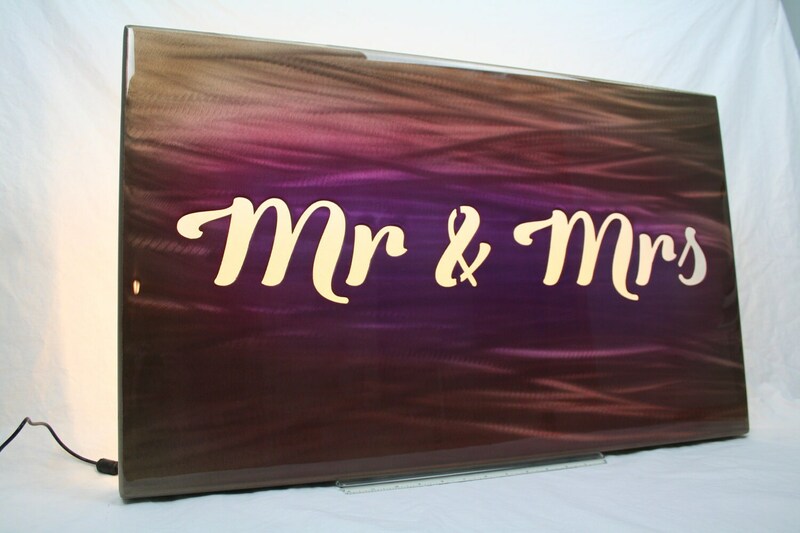 Mr & Mrs polished aluminum backlit sign. This piece is astonishing! It will take your breath away! 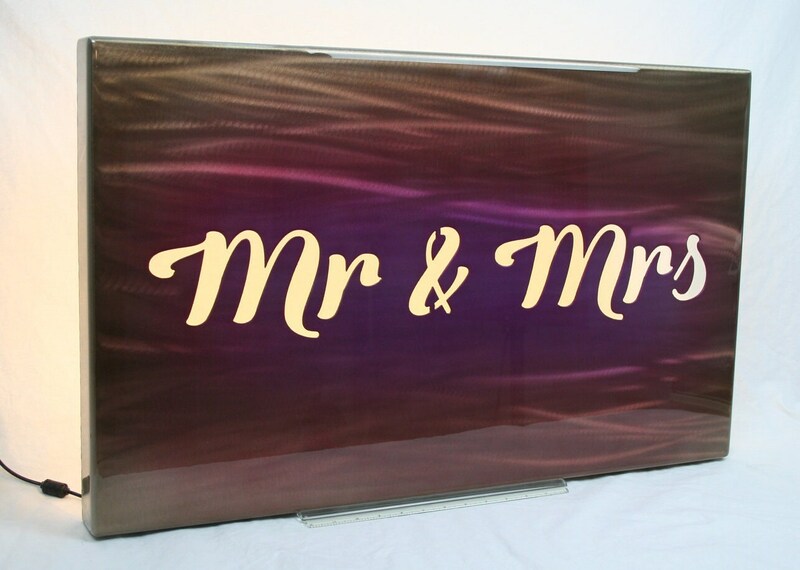 This beautiful sign begins with a thick, flat piece of aluminum. The Mr & Mrs script words are cut out of it. It's bent into a box shape 2" deep. Then the whole face of the sign is polished in waves and curves. The light dances off the polished aluminum. It creates movement as you walk past! The incredible color is added with automotive quality translucent paint. Polish and air brushing makes each piece totally unique. One of a kind statement art piece! 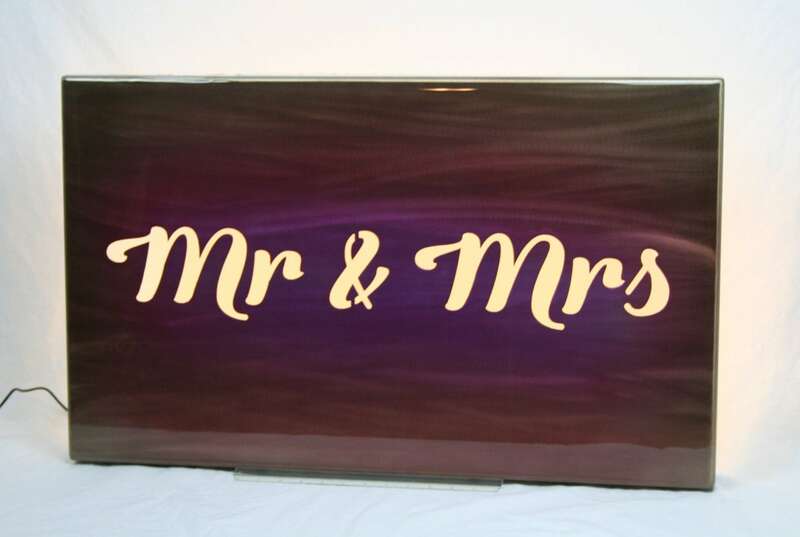 The entire sign is coated with thick, crystal clear epoxy. Finish is like glass! No open cuts and no sharp edges! Sign is also back-lit with LED lights! The depth of the sign allows you to hide all electrical cords behind it. 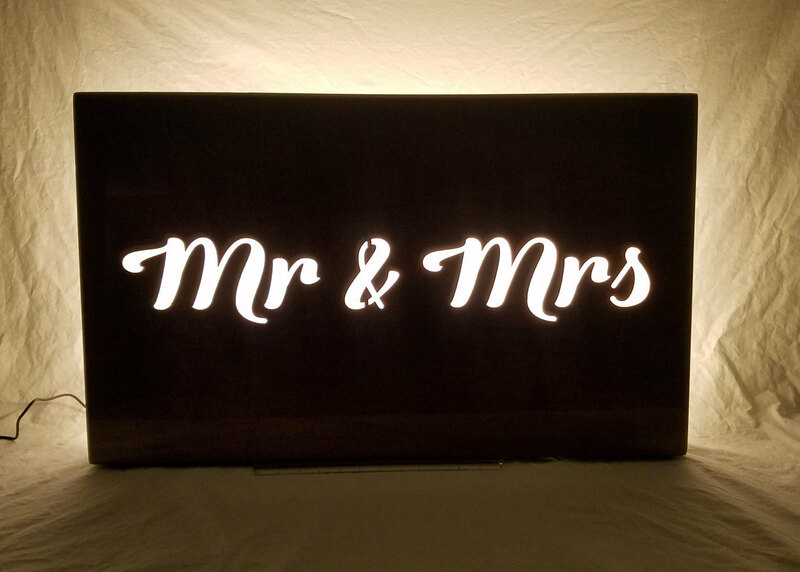 Creates a romantic white light at night. Beautiful sign! This piece is 30" wide and 18" tall. The romantic wall art is a sturdy, lifetime art piece. Perfect display for your wedding reception. Then take it home for a beautiful new piece of wall art! 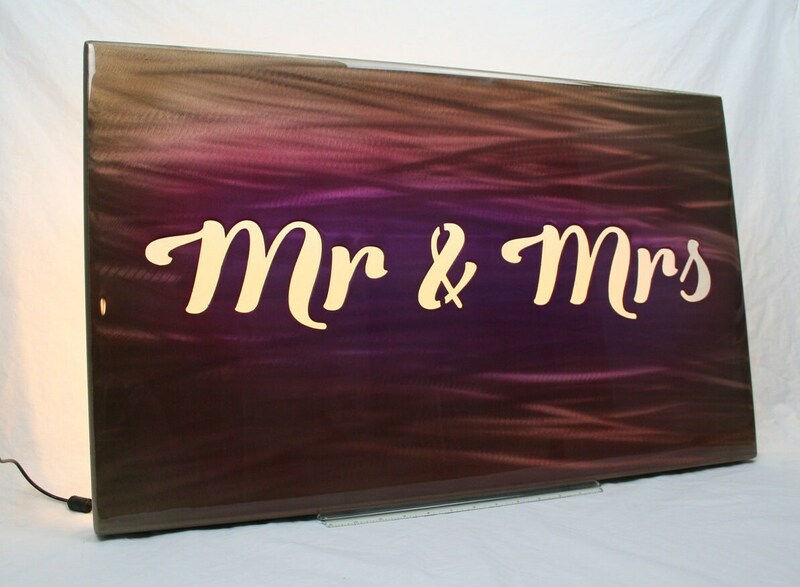 Aluminum art panels are our newest project. We can't stop staring at them in the showroom! We hope you'll love them as much as we do!